Douglas Volz Consulting is the global leader in cost accounting solutions for the Oracle e-Business Suite, including project management, business strategy and technical design for major companies around the world. 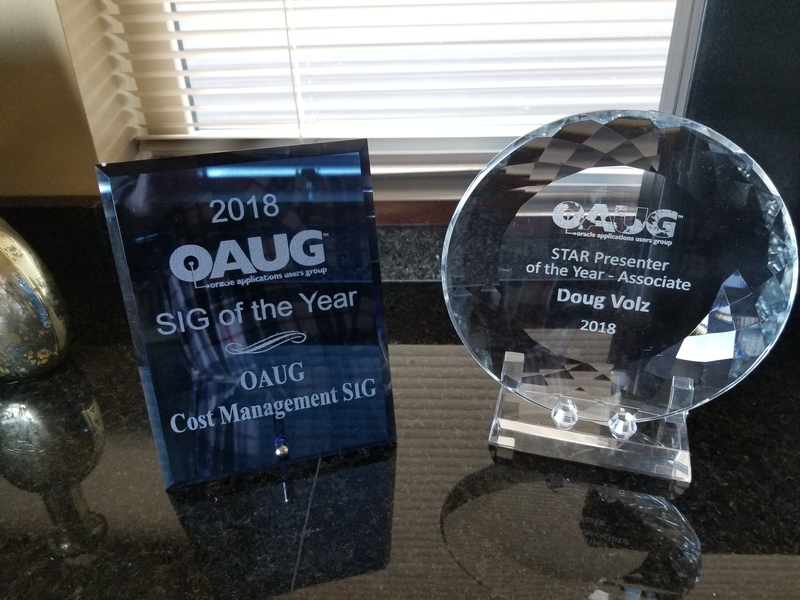 Doug Volz worked in industry in Cost Management, co-designed Oracle Cost Management and led multiple global Oracle implementation and business process improvement projects. Available for full and part-time assignments. We help major corporations solve complex cost accounting problems, run more efficiently and maximize their use of the Oracle Applications. Our expert guidance has helped non-profits, for-profit, distribution, and manufacturing companies streamline the monthly accounting close cycle and achieve compliance with local and international accounting standards. OATUG 2014 Member of the Year Award for leading the OATUG Cost Management Group since 2007 and presenting at OATUG since 1996. Based on a recent Oracle Cloud implementation, Doug created this comparison of Oracle Cloud Costing vs. EBS Costing, read about it here: Cloud Costing Comparison and Setup: How Does Oracle Cloud Costing Stack Up Against Oracle EBS Costing? Require real-world solutions for tracking and eliminating profit in inventory? Learn about Oracle EBS and Cloud Costing PII solutions here.